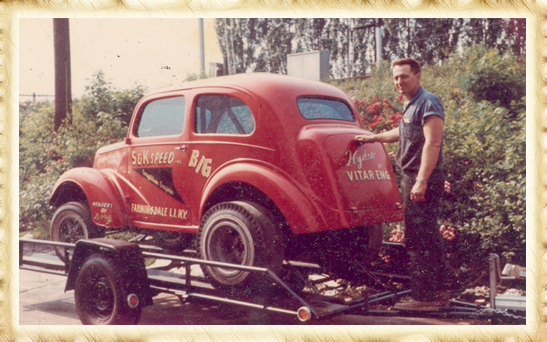 Ernie Krieg, at the age of 19, began selling parts from his parents’ 200 sq. ft. basement as well as at the drag strip. The left image above shows Ernie’s full inventory at the time. All this while racing a “B” Gas 1955 Chevy (above right image). Brian Higgins joined Ernie in the business and racing. Together, they put up a two car garage on the property of Ernie’s parents house. 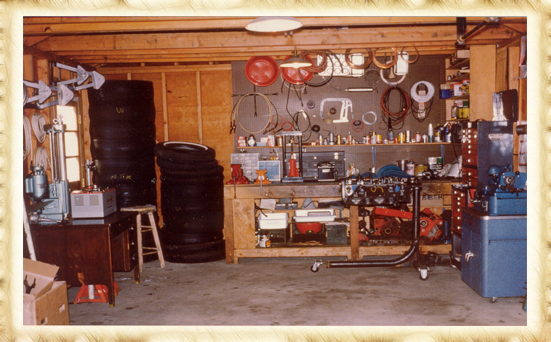 They then began building performance engines and selling parts out of the garage. Ernie and Brian moved to an 1,800 sq. ft. speed shop & engine shop in Farmingdale, NY. Outgrowing the Farmingdale location, they moved into a brand new 3,500 sq. ft. building in Lindenhurst, NY. At this time they also began campaigning a “C” Gas 1949 Anglia. A 4,500 sq. ft. Performance Installation Center was built across the street from the Lindenhurst, NY location. It included a state-of-the-art (at the time) Bear Chassis Dyno rated at 600 horsepower. Yet another 4,500 sq. ft. two story warehouse was built, but this one was for wholesale accounts only. 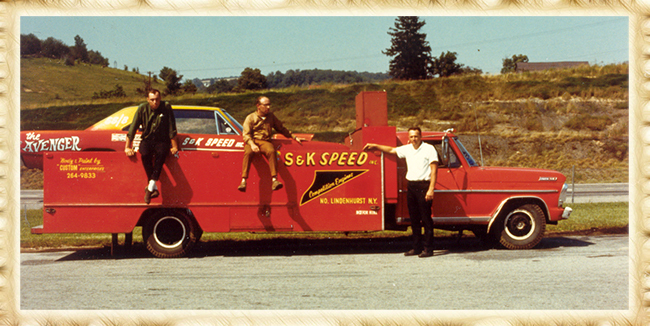 Brian and Ernie began campaigning a one-of-only-80-built 1968 HEMI Dart Super Stock car. 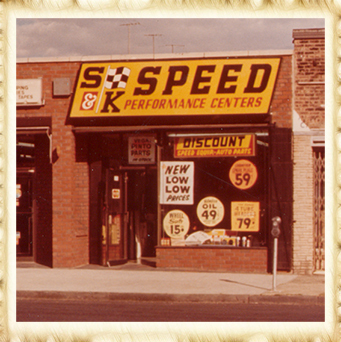 The first branch location opened in Valley Stream, NY (which was later moved to nearby Rockville Centre, NY in 1972). They also began campaigning a very successful one-of-55-built 1969 AMX Super Stock car. A 2nd branch location opened up in Brooklyn, NY. The 3rd and 4th branch locations were opened in Queens, NY and Lake Grove, NY. At this time the Valley Stream location moved to nearby Rockville Centre. The OPEC Oil Embargo and the subsequent gas lines, gas shortage and chaos at the gas pumps forced Ernie and Brian to change their business direction . Over the next several years, they consolidated into two very strong, well staffed convenient locations, each with enormous inventory. A new growth strategy was formed with the addition of two new partners, Bill Meese and Jim Haase. 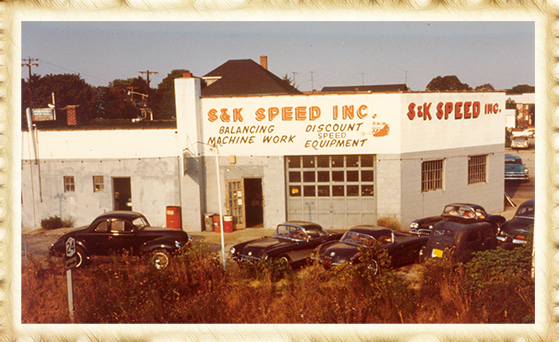 This enabled them to emerge from the oil crisis stronger than ever and in a better position to continue giving the great customer service S-K Speed is known for. 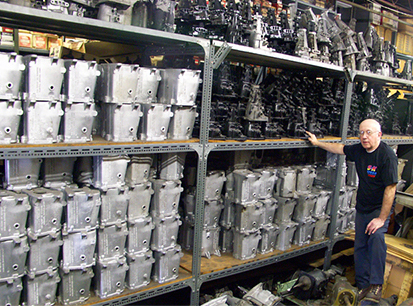 Bill Meese starts building race engines in the Lindenhurst, NY location. The Lindenhurst, NY location was increased in size and even more inventory was added. Yet even more square footage was added to the Lindenhurst, NY location. This resulted in one of the largest performance automotive inventories on the East Coast. Brian Higgins expands the Manual Transmission Shop in the Lindenhurst, NY location, offering customers every part they need to row the gears themselves. Even more square footage was added to the Lindenhurst, NY location! This year saw a computerized inventory system installed. Square footage was again added to the Lindenhurst location, bringing the total to 12,000 sq. ft. It houses the Race Engine Shop and Manual Transmission Warehouse! Long time partner and friend Jim Haase passes away suddenly at the age of only 49. Installation of a modern point-of-sale system was installed at both retail locations. Long time partner & race engine builder Bill Meese retires. 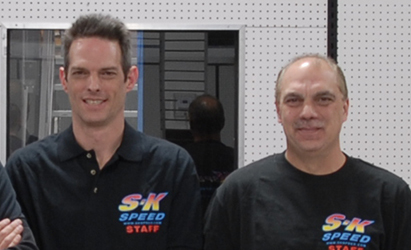 At this time, Kevin Krieg (above left) and respected engine builder Jeff Catrone (above right) take over and fully re-modernize the race engine shop. 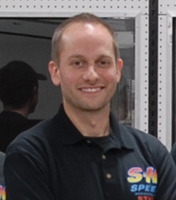 Colin Scheerer becomes the store manager at the Lindenhurst, NY location and begins to re-modernize the retail performance parts side of the business.